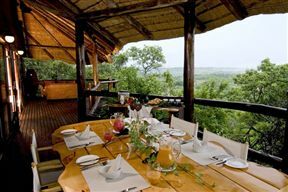 The Nambiti Hills Private Game Lodge offers intimate and luxurious accommodation in the midst of the spectacular African beauty of the Nambiti Game Reserve. 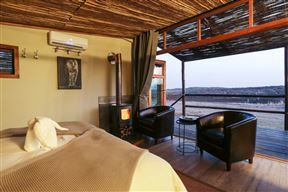 It is a haven of sophistication surrounded by wild terrain. Perfect for anyone seeking both privacy and romance. 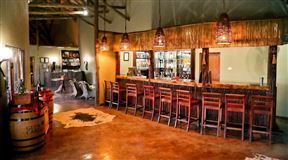 The only exclusive use lodge in the Nambiti Private Game Reserve to offer a Big 5 game drive experience, set in the grounds of Cheetah Ridge Lodge. 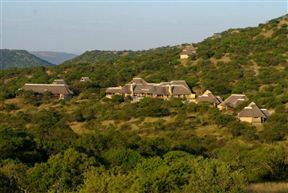 Umzolozolo&apos;s accommodation consists of the Honeymoon suite, which features a Jacuzzi on its own private deck. 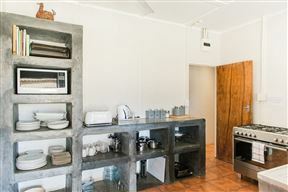 The two bedroom Family Suite and three Luxury Chalets, each suite has an outdoor shower, as well as Satellite TV, bar fridge and air-conditioning. 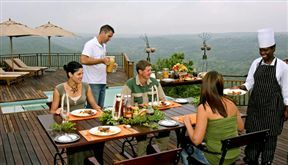 Umzolozolo&apos;s grandest feature is the rim flow pool, built into the wooden deck which flows down the waterfall into the valley below. 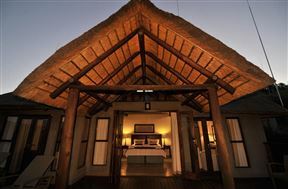 Lions Valley Lodge is situated in the Big 5 Nambiti Private Game Reserve. 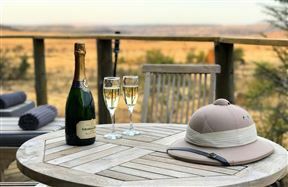 Visitors are accommodated in exclusive, free-standing thatched suites, offering maximum privacy and the perfect honeymoon destination. 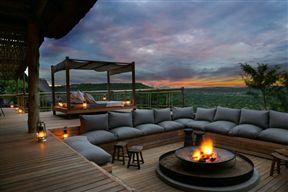 Esiweni lodge is a hidden jewel in one of the most beautiful private reserves in South Africa. Here you will enjoy the peace and serenity of the great outdoors, comfort and privacy in your suite, gazing out over the world from your panoramic terrace overlooking the Sunday River.